Nearly 40,000 people are receiving medical care from Médecins Sans Frontières/Doctors Without Borders (MSF) after fleeing violent Boko Haram attacks around Lake Chad. Our teams are in the two busiest camps where people have settled, in Bosso and Nguigmi, offering medical consultations and access to primary healthcare. 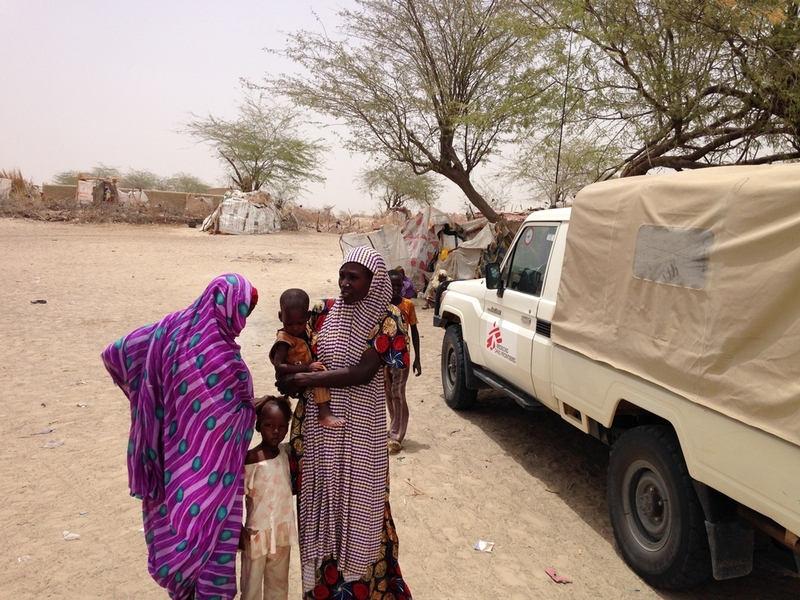 Aissami Abdou, MSF field coordinator in Diffa - south-east Niger, talks us through the current situation. “It’s critical. They came from the islands after the evacuation order from the authorities and settled as fast as they could to save their lives. According to numbers provided by regional authorities, around 11,200 people arrived in Nguigmi and 13,000 in Bosso in the first week of May. Some 15,000 were sent to Gaidam town, in northern Nigeria, via a transit site in Diffa. MSF started medical work, on top of its existing activities in the region, in the first days following the movement of people. We’re also continuing to support the regional referral centre for women and children in Diffa, and the health centres in Geskerou, Ngarwa and Nguigmi. The government is planning to relocate the displaced people so we will have to adapt our intervention to continue assisting. We’re planning to start providing support for two additional health centres in Baroua and Toumour, in Bosso district. Many of the displaced are from Nigeria and Niger, although the islands also have people from Chad, Cameroon and Mali. Most of the patients we receive at the health centre are traumatised by long-standing violence from Boko Haram. Some have moved many times already, losing family members and belongings along the way. They just need somewhere to settle in peace to regain their dignity and access to basic social services. One of the main challenges is security. The zone is close to Lake Chad where multinational forces are conducting military operations against Boko Haram. Another challenge is access. The zone is sandy and very hot – it easily gets above 45 Celsius. The rainy season will start soon and when the Komadougou river floods its banks there will be a lot of mud on the road. The extra rainfall will also increase the risk of cholera.